You must have heard about the Anand Kumar who is the founder of the great educational institution called Super 30. 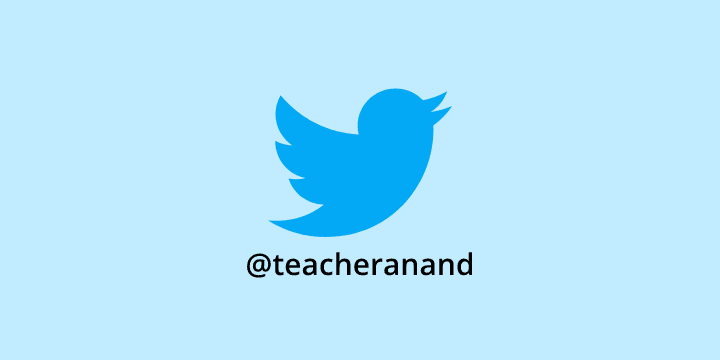 Well, here, I will be collecting all the important tweets made by the Anand Kumar (@teacheranand) on the Twitter - either it be about his motivational story or any important announcements. I will be embedding the tweets here in the order of from recent to old. He truly deserves to be the Pride of Bihar. His humble gesture was very touching & heart warming. God Bless him always with many more successes. Jai Bihar! Jai Hind! In the Durga Puja holidays, had an invitation from America. Thought I should make use of the opportunity. Just reached California. So, these are some important to read messages that has been tweeted by the founder of the Super 30.